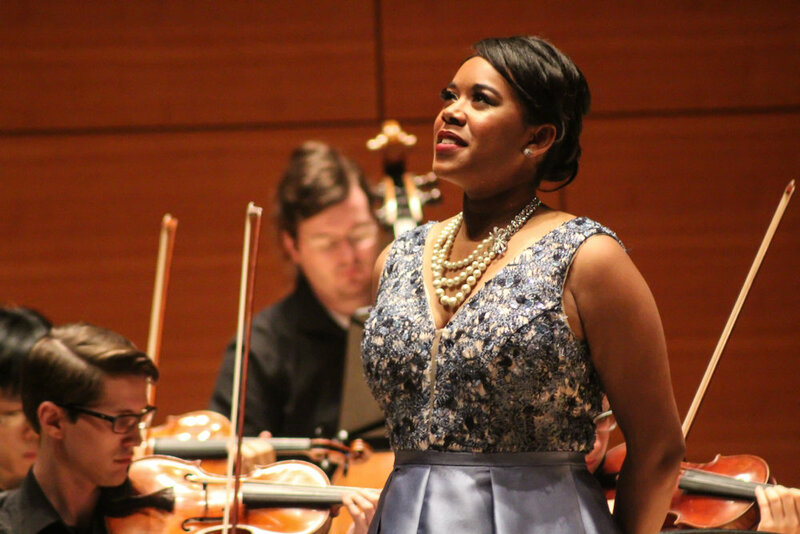 Soprano Alicia Russell has been singing throughout the United States since 2013, when she made her debut performance in her hometown with the Asheville Symphony Orchestra. 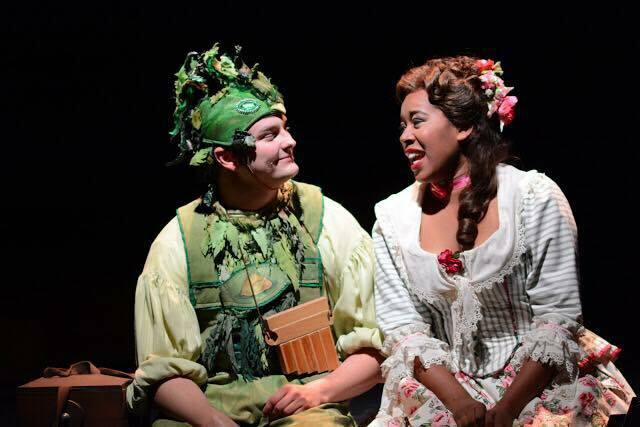 In the 2018–2019, Ms. Russell is a resident artist with Toledo Opera, where she sings Frasquita in Carmen, Samantha in The Ballad of Baby Doe, and Juliet in an English-language adaptation of Gounod’s Roméo et Juliette, presented in schools. She also makes her role and company debut as Frasquita in Carmen with Opera Carolina. Her recent performances include Daisy Buchanan in John Harbison’s The Great Gatsby and Charlene in Christopher Weiss’s Service Provider, both during her second season as a young artist at Seagle Music Colony. She has also appeared, as Donna Elvira in Don Giovanni, the title role in Savitri, and Elaine in Later the Same Evening with Northwestern University Opera Theater; Rosalinde in Die Fledermaus with Boston University Tanglewood Institute; and Pamina in Die Zauberflöte with Seagle Music Colony and Furman University. 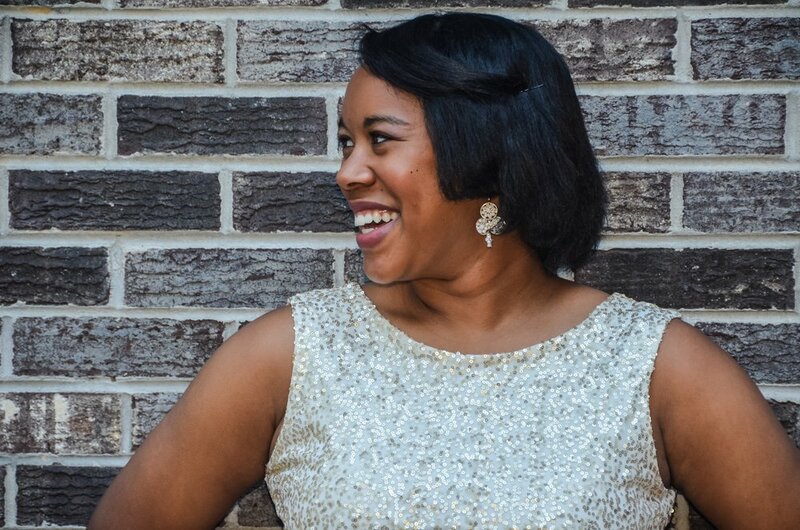 Equally recognized for her concert performances, Ms. Russell appears this season as the soprano soloist in Barber’s Knoxville: Summer of 1915 with the Northwestern University Chamber Orchestra and as a recitalist with the Musicians Club of Women in Chicago. Past concert performances include Handel’s Laudate Pueri Dominium, Utrecht Te Deum and Messiah; Honnegger’s King David; Mozart’s Requiem and Missa in C Minor; and Vivaldi’s Dixit Dominus, RV 807. 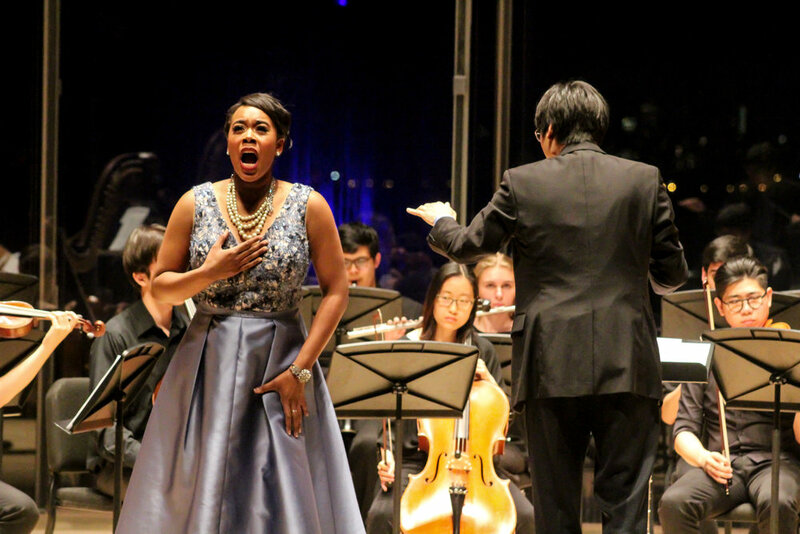 A competitive force, Ms. Russell was honored as an Encouragement Award recipient at the Metropolitan Opera National Council auditions in January 2019 (Middle/East Tennessee district). She also won the 2018 Northwestern University Concerto/Aria Competition and received the Ginger Meyer Scholarship in the 2018 Musicians Club of Women Competition. In 2018, she won the Evanston Musicians’ Club Scholarship and was a semi-finalist in the 2017 Bel Canto Foundation Competition. She holds a Master of Music from Northwestern University and Bachelor of Music from Furman University. Use the calendar link below to see where Ms. Russell performs next! This season, the Southern born-and-raised soprano will return to her home state of North Carolina to debut with Opera Carolina in January 2019 while further spreading her Midwestern presence in Chicago, Ann Arbor, and northwestern Ohio throughout the 2018-19 season. Feel free to contact Alicia throughout the calendar year and performance season with questions about engagements, productions, and upcoming work. Expect a response within 2 business days! Thanks so much for visiting my website, and for wanting to get in touch! I look forward to answering your message soon during my next coffee break.